The 33rd Annual Parkville Towne Center Fair will take place this Saturday, September 9, 2017. The fair is presented by the Parkville Carney Business Association – a non-profit, non-political organization comprised of local business professionals. There will be music, family friendly activities, entertainment, food, and shopping. There will be a showcase of local businesses, crafters, retailers, service providers, and food vendors. 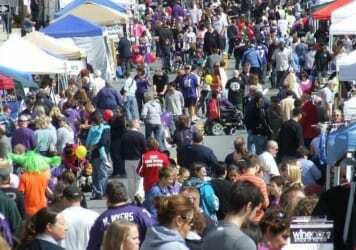 The fair will take place 10 a.m. to 4 p.m. on Harford Road (between Dubois & Taylor Avenue) in heart of Parkville. More information about the 2017 edition of the fair is available on Facebook and on the official fair website.